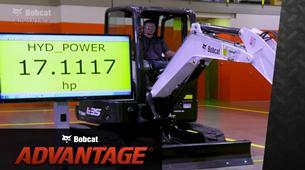 At times, your work may require more reach than a standard arm configuration can provide. 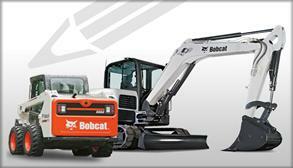 Because we think about what is important on a jobsite, Bobcat® offers an extendable arm option. 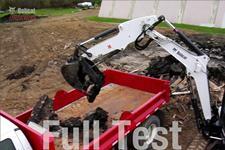 You can even use it with a clamp attachment. 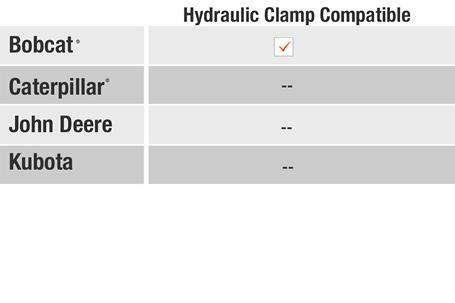 Caterpillar®, John Deere®, and Kubota® have telescopic arm options, but none of them can be used with a clamp. 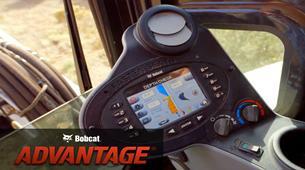 Only Bobcat gives you the most attachment flexibility on your jobsite. In some digging situations, you just need extra reach. 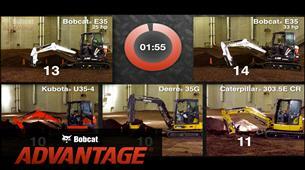 You could reposition your excavator, which takes time and decreases productivity. Or you could choose a telescopic or extendable arm, which give you the best of both worlds: the power you expect and the reach you require. 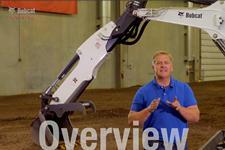 They’re designed with an extension that telescopes down the length of the excavator’s arm. 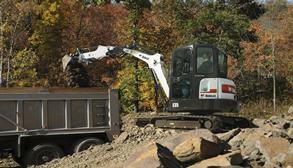 It gives you the extra reach you need without repositioning your excavator. When considering an excavator with greater reach, you may think that every extendable or telescopic arm option is the same. 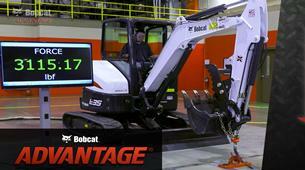 But only Bobcat makes an extendable arm that can be used with a clamp attachment. Other brands simply don’t support it. Why does that matter? Watch the test results to find out. 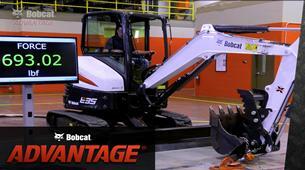 With the Bobcat extendable arm, you’ll gain extended dig depth and reach. 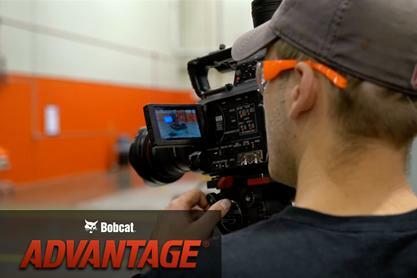 It offers the best of both worlds: power and lifting performance, combined with the ability to extend the machine's dig depth and reach when you need it. 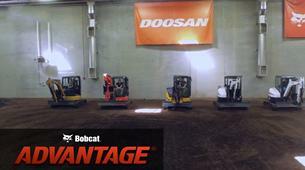 Caterpillar®, John Deere®, and Kubota® have extendable arm options, but none of them can be used with a clamp. 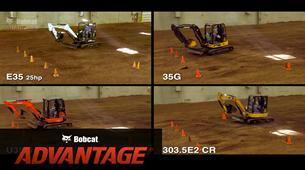 Only Bobcat has the only fully clamp-compatible extendable arm. For more information visit our full page on the Extendable Arm. 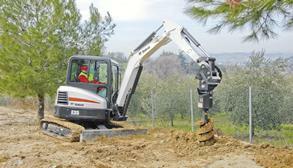 If you need more reach from your compact excavator, the extendable arm option may be just what you need. As needed, the arm can be hydraulically extended up to 30 in., and then retracted to its standard position for maximum arm force and lift performance. The extendable arm cylinder is powered by the primary auxiliary circuit, and a paddle on the right-hand joystick controls the extension and retraction of the arm.